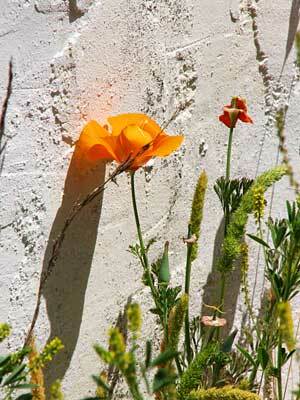 A California Poppy in the garden behind the Plaza Hotel in San Juan Bautista. Shot taken with Canon S2IS. Click for a larger view.